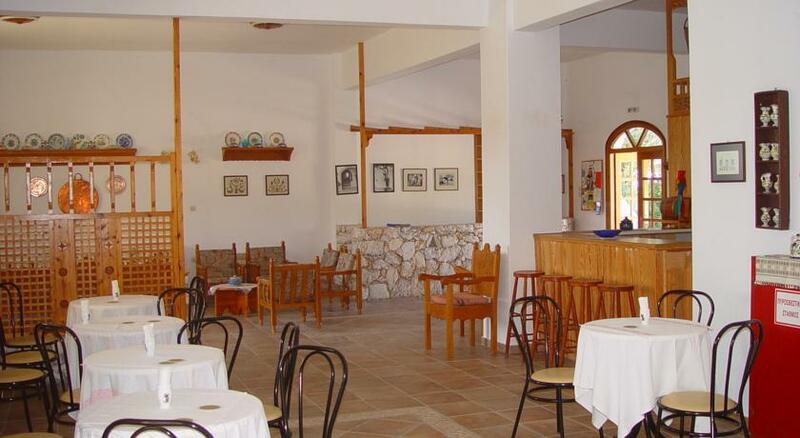 The Angela Hotel is located in a lovely and quite area on the north east side of the island in the popular coastal village of Molos. 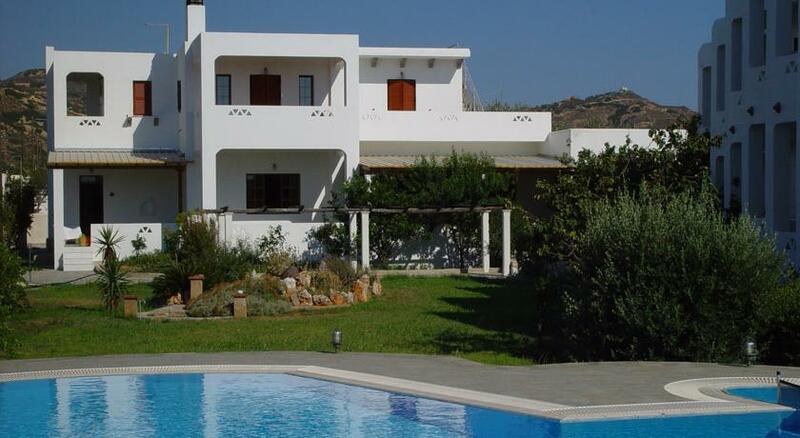 The hotel features a large pool area with sun terrace and a wonderful well maintained garden and only 150 meters away from the huge sandy beach of Molos. 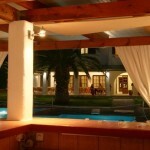 The traditionally built hotel provides comfortable rooms with air condition, individual balconies and free Wi-Fi. 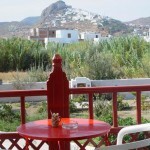 You can enjoy rooms the overlook the pool, the garden or the town of Chora, which is the capital of Skyros. 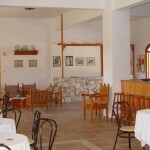 The rooms are fitted with tiled floors and traditional wooden furnishing. 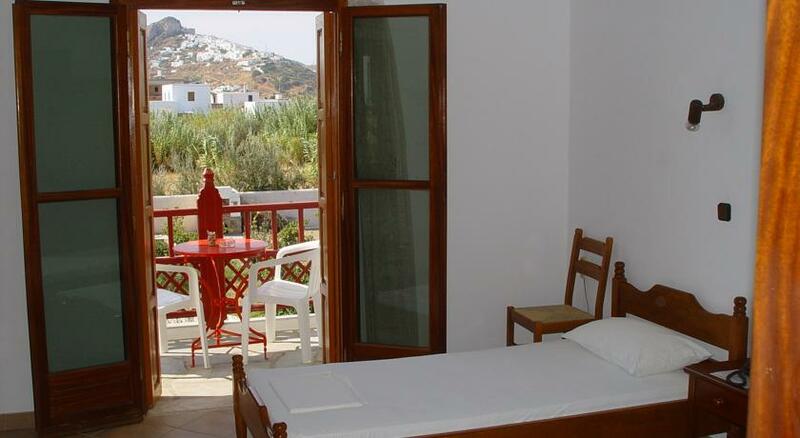 All rooms at the hotel have plenty of natural lighting and they are equipped with aTV, fridge, fan and a private bathroom with shower. 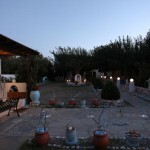 Guests can start the day by having a continental breakfast served in the traditional decorated dining area or during the summer, in the garden. 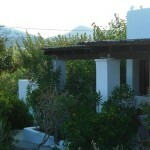 BBQ facilities are offered in the garden area for our guests. 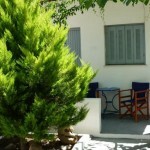 You can find tavernas and restaurants, coffee bars and a mini market within walking distance from the hotel. 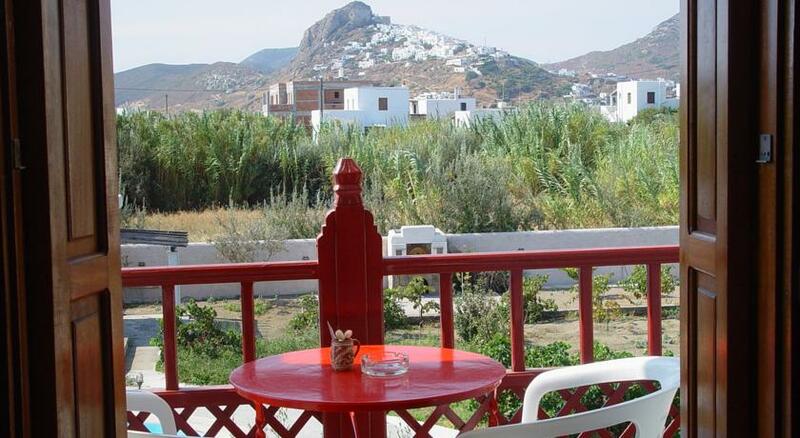 Skyros is a perfect destination for your holidays with many beautiful spots to visit and explore in addition to many beautiful and large soft sand beaches that are scattered all around the island. 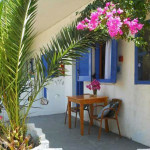 The Hotel Angela is situated only 3km from Chora, 12km from the port of Linaria and 13km from the airport of Skyros. Free non-public car parking is possible on site. If you would like to read some reviews of the Angela Hotel by guests who have actually stayed there, simply click the link below and read about some experiences of guests who have stayed there.